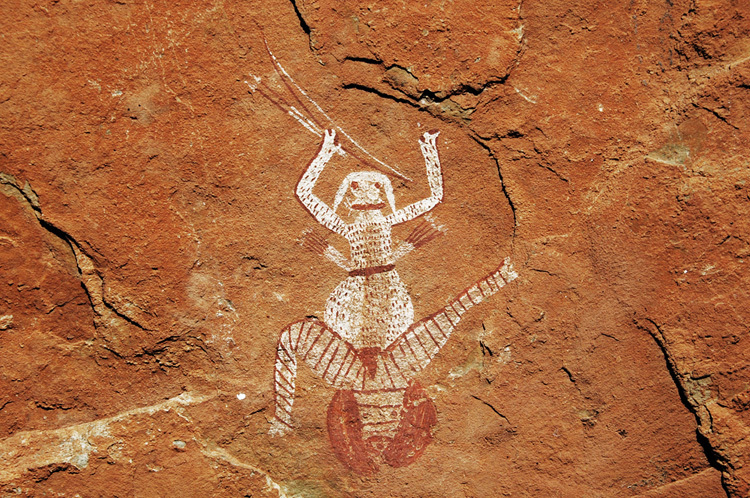 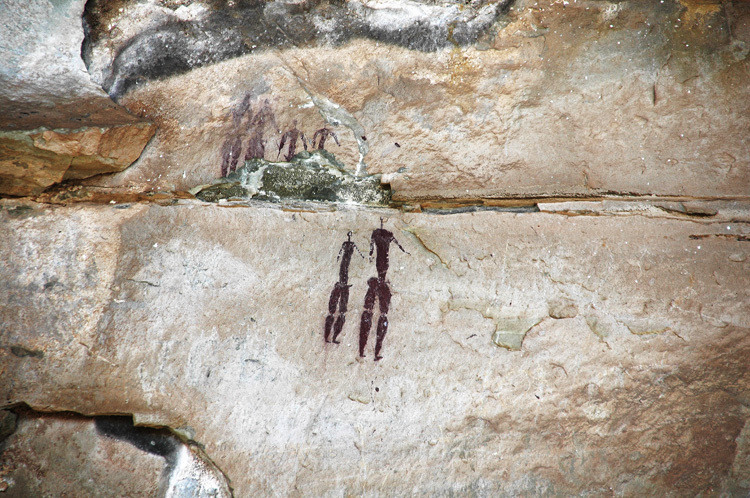 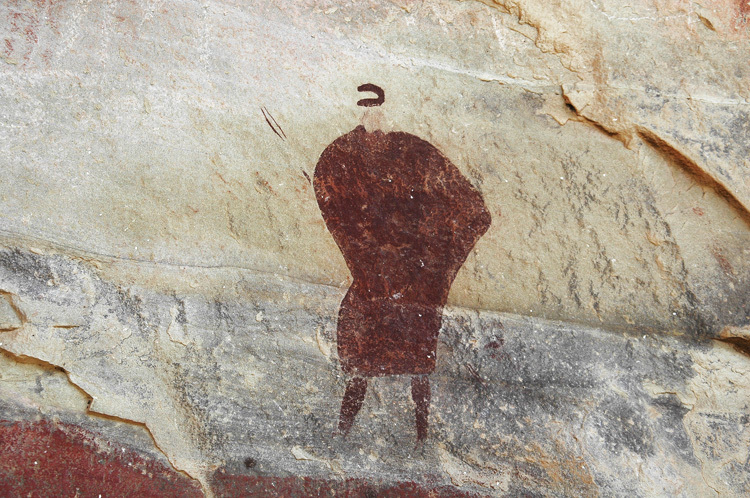 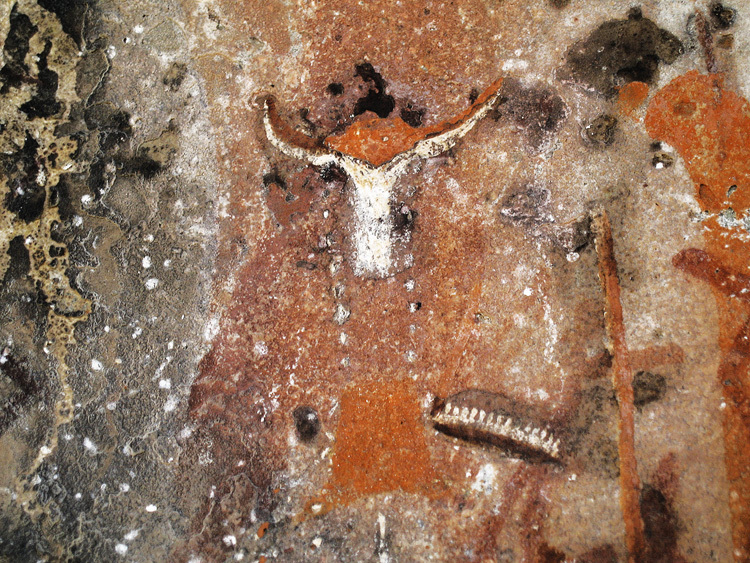 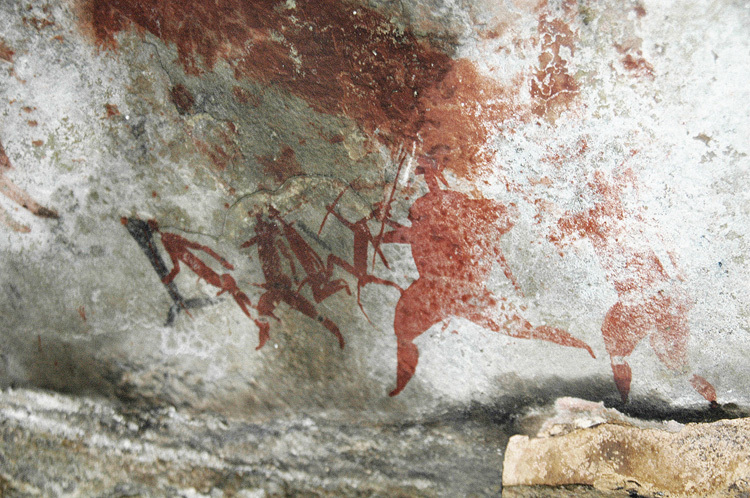 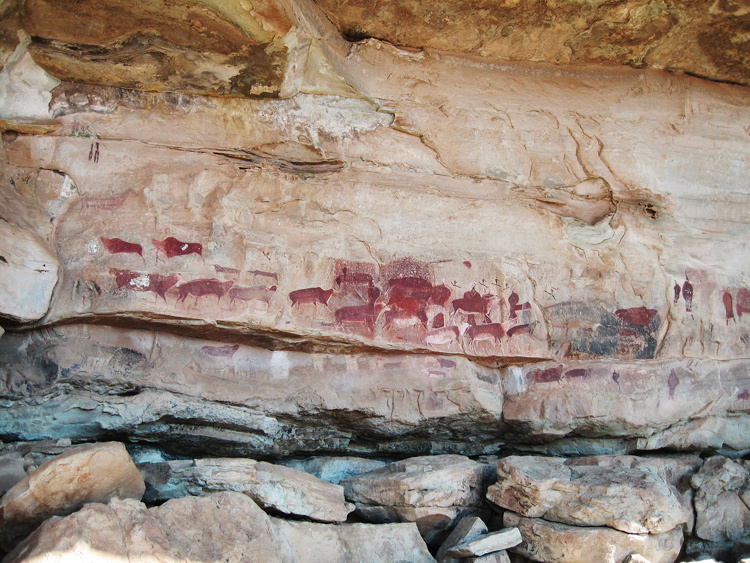 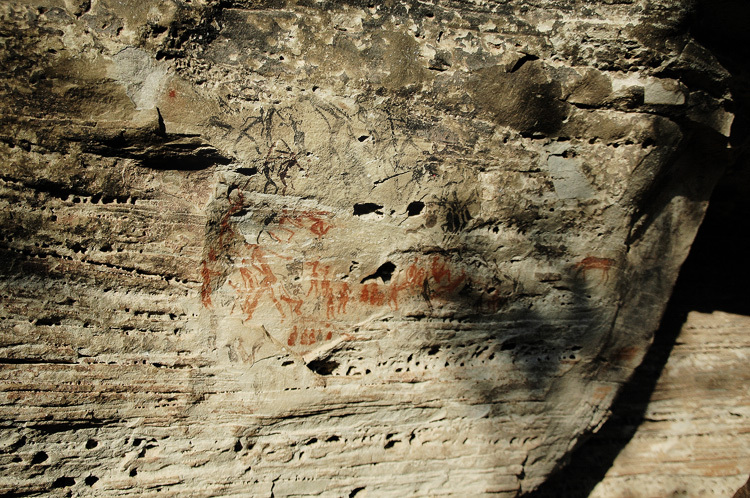 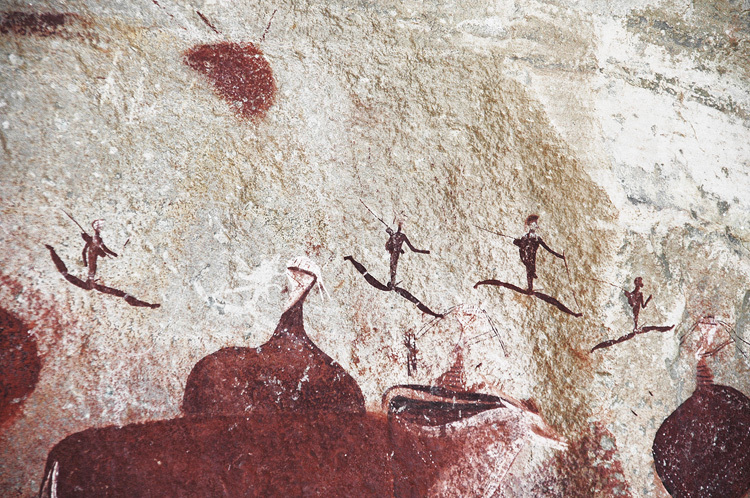 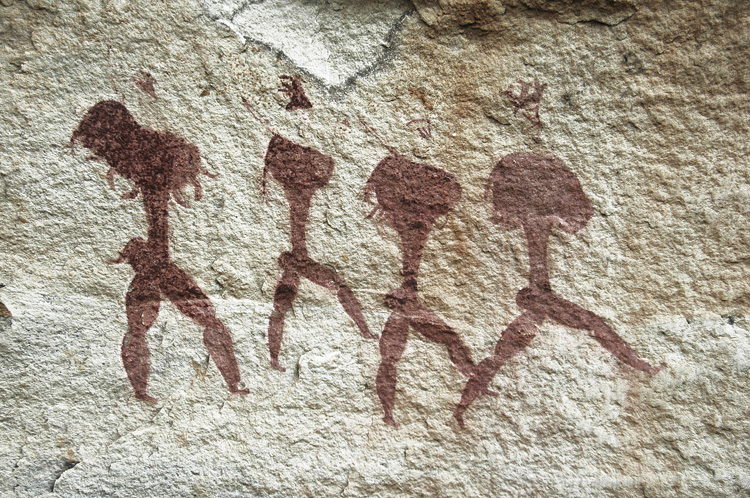 The aim of this Gallery is to show the quality and quantity of San rock art paintings in South Africa. 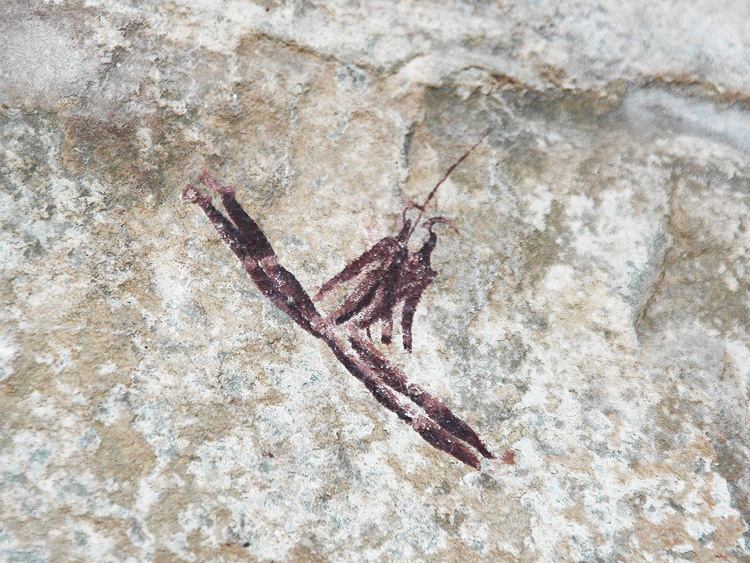 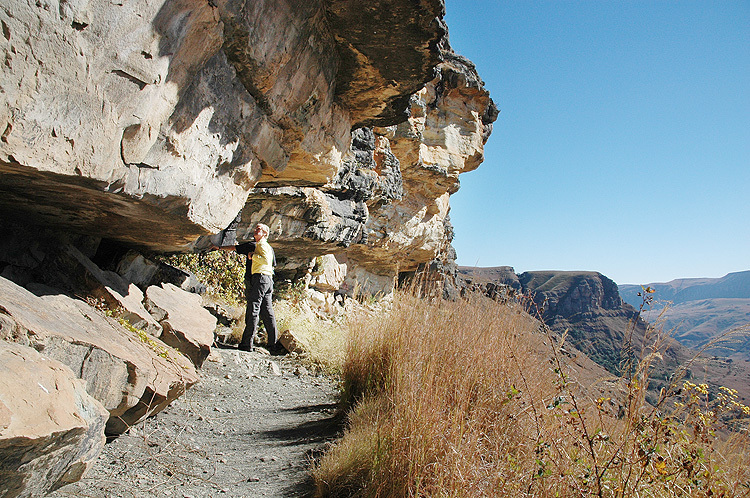 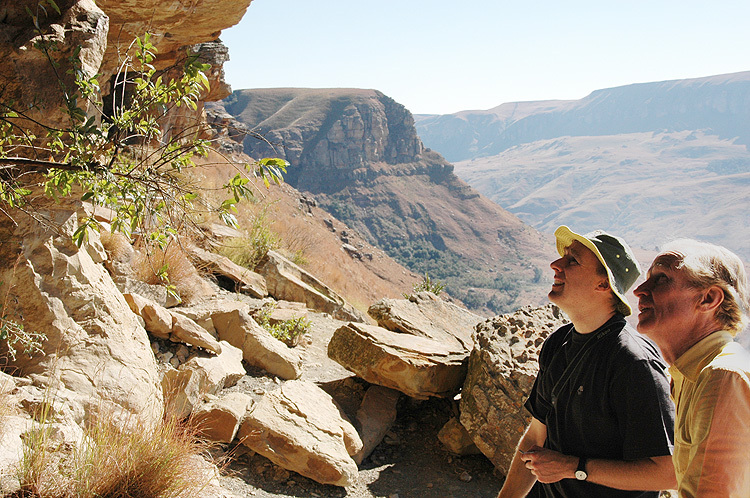 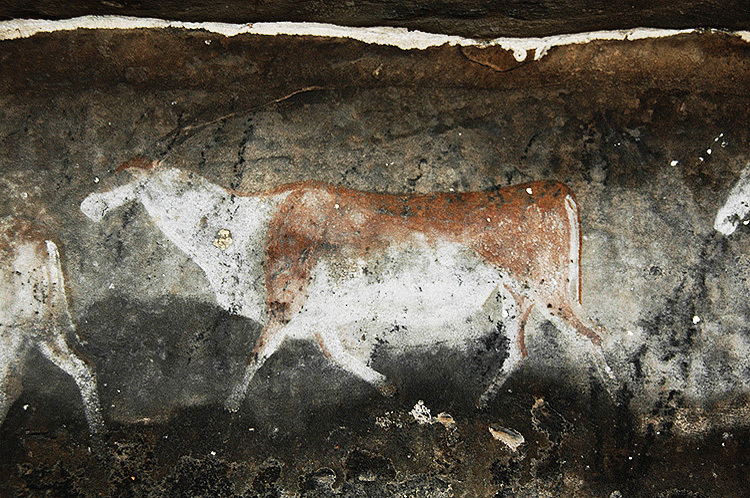 The images were captured on the Bradshaw Foundation Field Trip to the Drakensberg Mountains in 2007, when we had the privilege of being shown the paintings by the leading expert Dr Ben Smith, Director of the Rock Art Research Institute at the University of Witwatersrand. 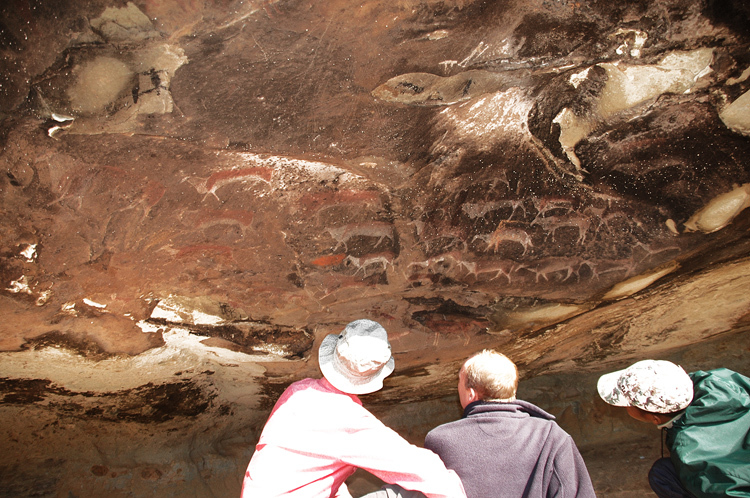 Dr Smith was able to explain the San paintings, located in the many sheltered and carefully chosen rock art sites in the Drakensberg, by linking specific San beliefs to recurrent features in the art. 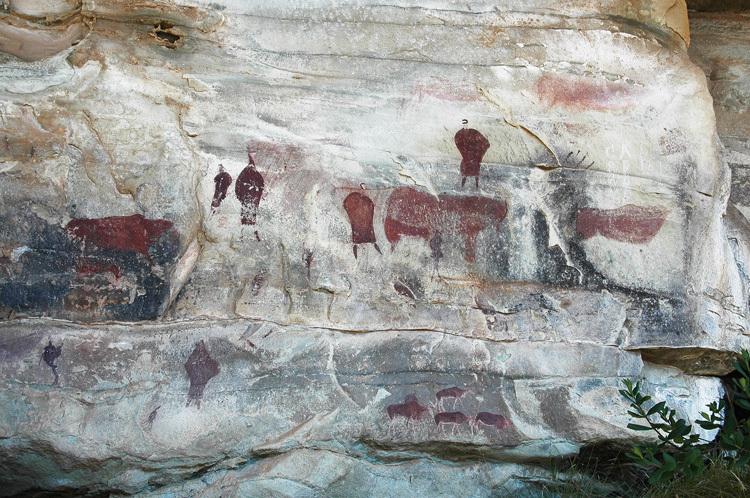 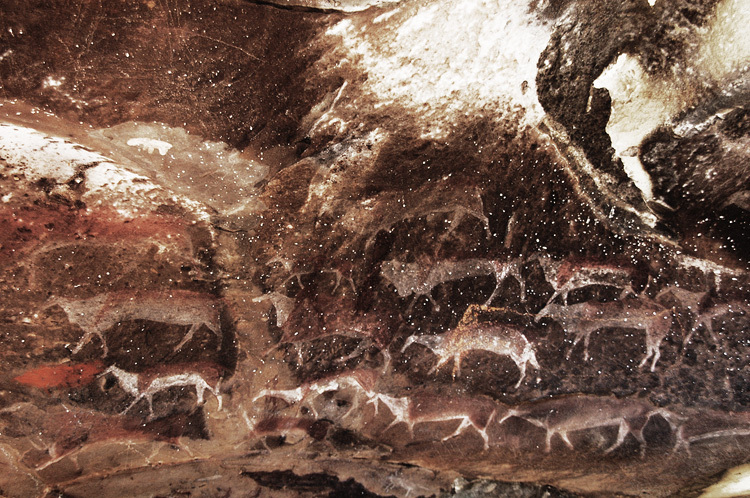 The 'Rosetta Stone' of San rock art is located at the Game Pass Shelter, where Professor David Lewis-Williams , gained a new and invaluable insight on the meaning by studying one panel in particular - the painting of the dying eland and a man apparently holding its tail. 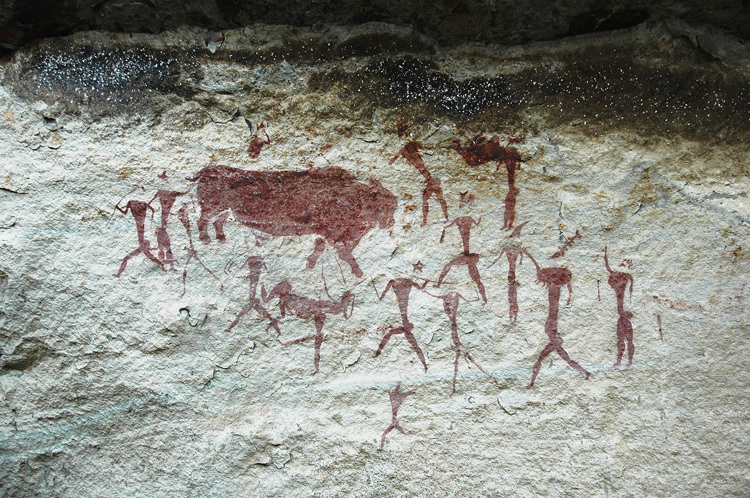 The man has hooves like the eland, his hair is standing out like the eland's hair, and his legs are crossed, in imitation of the eland's legs. 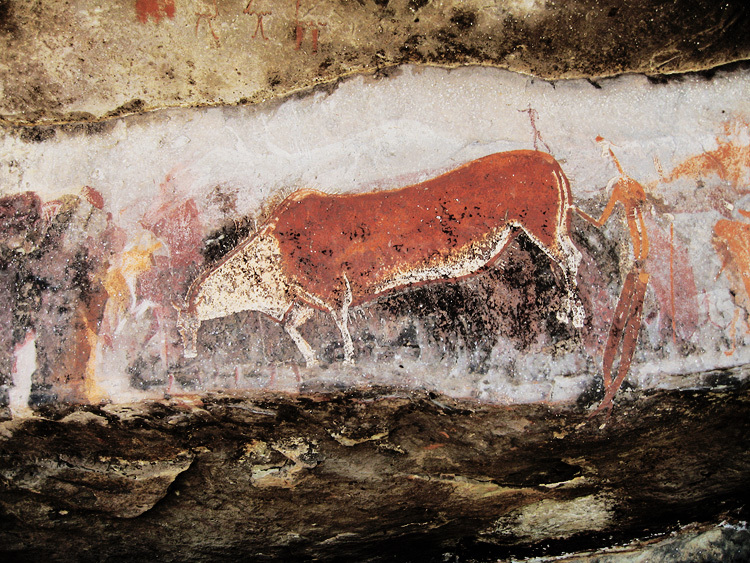 Both the eland and the man are behaving as if they are dying. 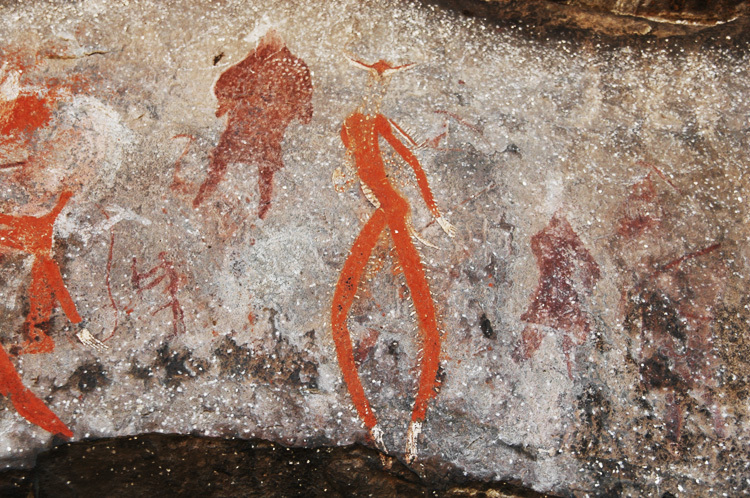 The man is a shaman going into trance. 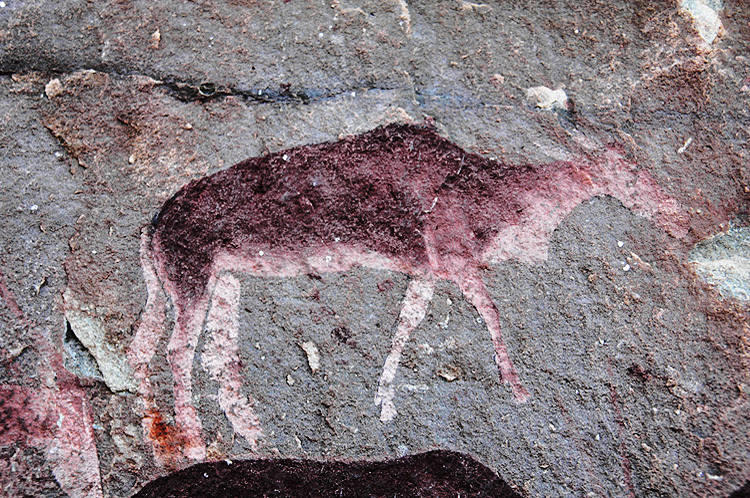 He is about to leave this world for the spirit world, and he is taking on the power of the eland. 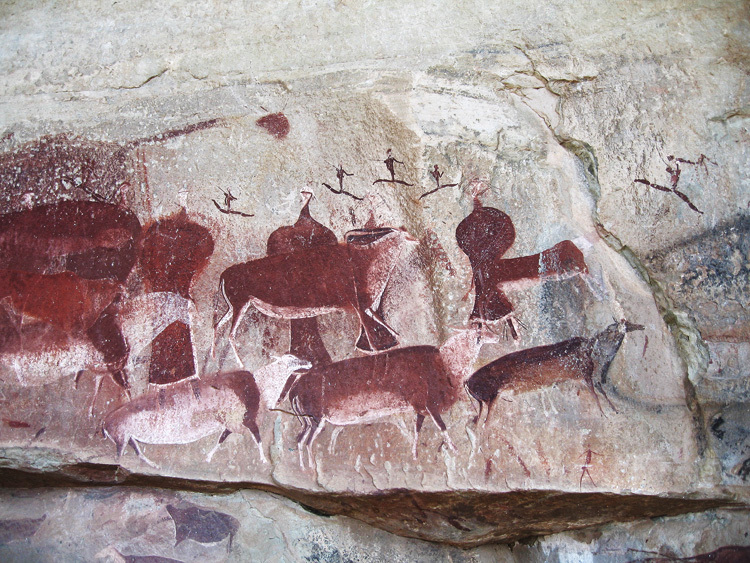 What has been revealed is one of the most complex and sophisticated of all the world's symbolic arts. 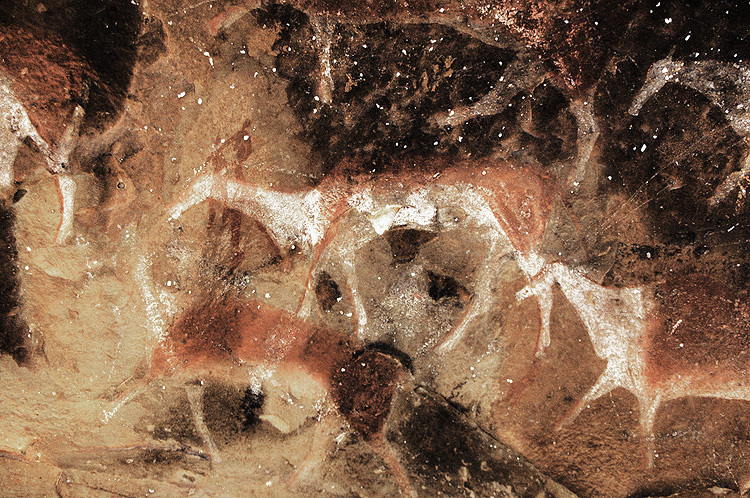 Far from a general view of life, the art focuses on a particular part of San experience: the spirit world journeys and experiences of San shamans. 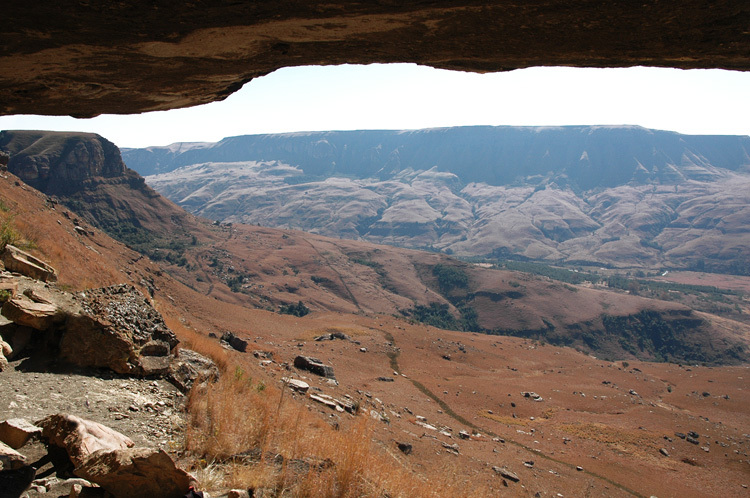 Whilst the San of this region are long gone, the ancient powers of the art are far from forgotten: Zulu traditional healers and spiritualists still travel from miles around to draw upon the sacred powers of Game Pass Shelter. 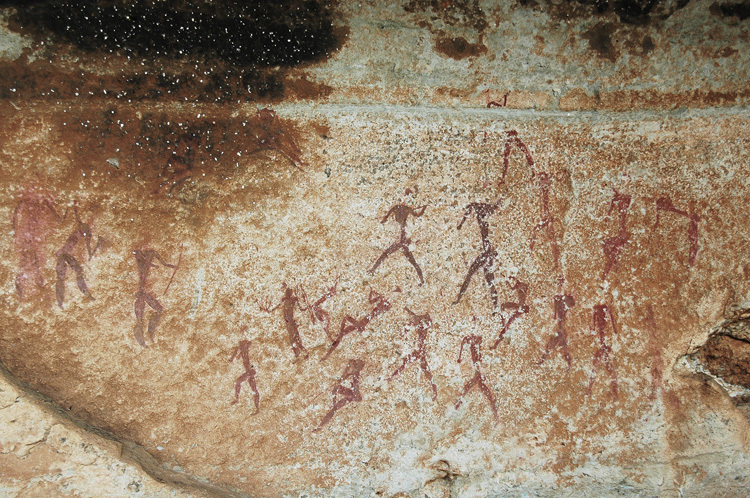 And today they are joined by thousand of visitors from around the world. 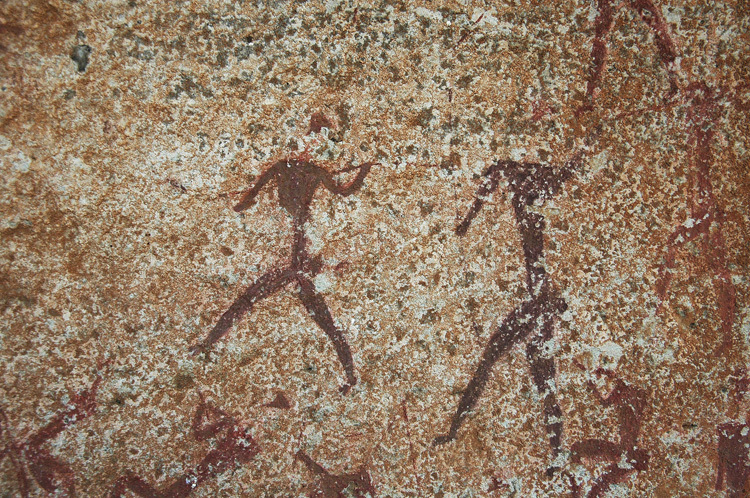 Each makes a personal pilgrimage to this sacred place, just as the San did for millennia before. 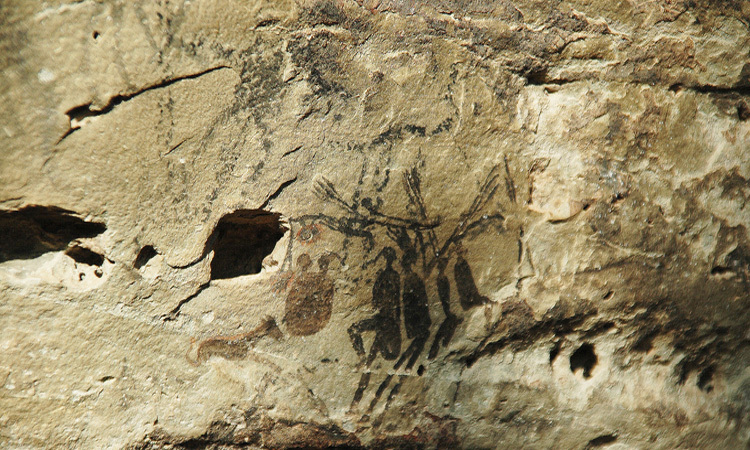 Game Pass Shelter was declared a UNESCO World Heritage Site in the year 2000.